Order your GREENBOXES quickly and conveniently online. A friendly GREENBOX representative will bring your GREENBOXES right to your doorstep. 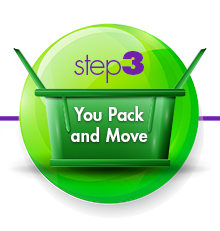 Pack up your home or office, move to your next location and unpack! Greenbox Memphis, will pick up the emptied GREENBOXES so you can get on enjoying life, not breaking down and disposing cardboard! Greenbox Memphis featured in The Daily News! Check it out here! Using plastic boxes to pack and move is trending worldwide! In 2015 we brought the concept to Memphis and opened Greenbox Memphis! It’s clearly winning the popular vote for packing and moving. Several other states and countries have adopted the concept and we have formed relationships with other companies across the US that also rent reusable moving boxes. Cardboard boxes are a hassle. Used boxes are hard to find and unreliable. New ones are expensive and a bother to put together. And then you have to get rid of them when you’re finished. Greenbox is the perfect solution for you! 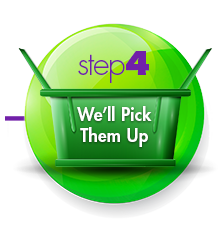 Greenbox Memphis is a local, online service that delivers sturdy, plastic moving boxes and supplies to your doorstep. Think outside the cardboard box and go Greenbox! It’s affordable, easy, and saves time so you can get back to living your life. We even pick up the boxes when you’re finished. In the fight against cardboard, become a pro boxer and use Greenbox. It’s a smart move! All prices include delivery and pickup! If booked before May 1st! Studio Up to 700 sq. ft.
One Bedroom Up to 1000 sq. ft.
Two Bedroom Up to 1500 sq. ft.
Three Bedroom Up to 2000 sq. ft.
CHEAPER – Our prices start at $99, which includes FREE delivery and pick up. GREENBOXES are delivered to your home or office, pre-assembled with attached, lockable lids. After you have moved and unpacked, GREENBOXES are picked up!! Greenbox Memphis, finds you more of that precious free time by saving you time! No more buying, building, breaking down and disposing of cardboard! FASTER – Place your GREENBOX order online and GREEENBOXES and additional supplies will be delivered to your home or office! GREENBOXES come preassembled, you will spend LESS TIME packing to move! And way more fun too!! EASIER – The GREENBOX ergonomic handles and custom fitted dolly, makes handling GREENBOXES around your home or office a breeze! GREENER – The EPA recognizes reuse as being better than recycling cardboard. By not creating waste in the first place, GREENBOXES work towards a sustainable community. No trees or recycling energies needed! 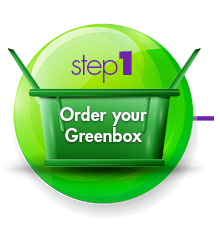 Greenboxes are easy to reserve and we deliver right to your doorstep for your ease of use. We offer our residential and commercial clients a variety of pricing packages to choose from. Planning on moving and need a smarter, cheaper alternative to cardboard boxes? Our products are exactly what you need. I have used Greenbox Memphis not only for our personal move (where it saved me many valuable hours) but also for our busy family medicine office move. The ease of having the boxes delivered and then picked back up once we had moved into our new locations was priceless… loved the labels and the uniform size of the boxes, so easy to handle and manageable to lift - even when packed full! Thank you Greenbox Memphis!!! Greenbox made my move a lot easier. They were great to work with, the movers loved their boxes and I didn't spend hidden dollars on tape. Drop off and pick up were easy and friendly. Boxes were cleaned and ready on arrival. In our case, the boxes saved us a lot of hassle; we ended up moving on a day of light rain. Cardboard would have been weakened and our stuff potentially ruined. Get a dolly per person, makes it easier to move them about the house or office while loading and unloading. I was very pleased with my Greenbox experience. The stackable boxes and dolly make moving a breeze compared to traditional methods. The customer service is fantastic and the price is more than fair. I will use Greenbox Memphis time and time again and recommend this stress-relieving moving solution to all! I have used Greenbox Memphis for my personal move AND our business move--very timely and VERY professionally delivered, these clean Greenboxes made my moves SO much easier. I love the ease of packing them and closing each box securely was a breeze. These "ecofriendly" (can be used 400 times) boxes made my recent moves much less cumbersome. I highly recommend them for your next commercial or residential need. Service Outside of Normal Business Hours Is Considered on a Case-by-Case Basis. Outside Service Areas Will be Considered on a Case-by-Case Basis and Additional Service Charge Applied.